Vegas is the perfect opportunity for me to wear something I can't see myself wearing in San Diego because it's all about the glitz, sparkle and a touch of skimpiness (keyword: touch). In my case it came in the form of this sheer inset Sequin dress! Yes, ladies and gentlemen I would not wear this in San Diego but you better bet I'll rock it in Vegas a.k.a. Sin City, USA. 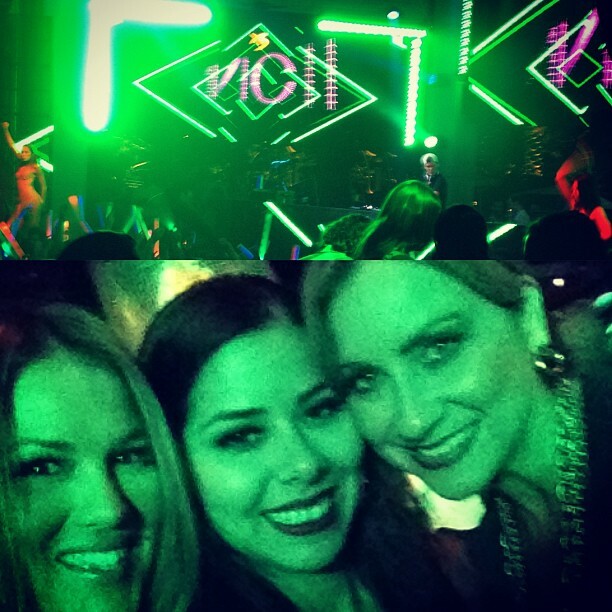 On this day we went to XS nightclub located inside the gorgeous Encore. At about 1:45am (yes am!) 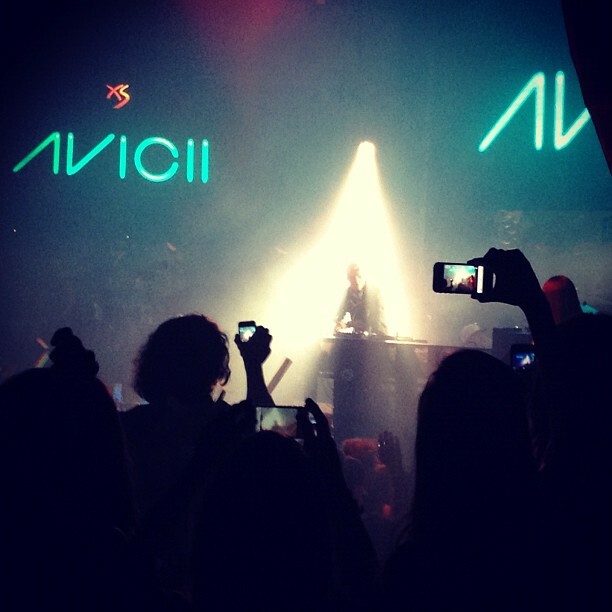 Avicii came on to play and rocked the house! It's crazy that these DJ's come on so late though, by then half the club is drunk and won't remember his performance the next day, another 15% are exhausted and the rest are girls whose feet are killing them (like me!)... Regardless, I love me some house music so I was loving Avicii and the atmosphere just that I wish he had started a little earlier. Any who, hope you like the outfit and stay tuned as I share more looks from Vegas! WOow AND this dark-flavored outfit, the way you wear it, should be tagged "With a Killing content of scintillating Glam", a fortiori with such bloody lipstick I must add ("Wink from a kind aesthete") ! Girl, you look stunning!!! Love the dress! the sequin dress looks awesome on you, love your gold clutch too! If you want we can follow each other. Become my follower and always going back! You look STUNNING. What a gorgeous dress! Gorgeous! Perfect look for vegas very chic with the all black! plus the lipstick is perfect! I wish i could have gone to Vegas! Completely agree! 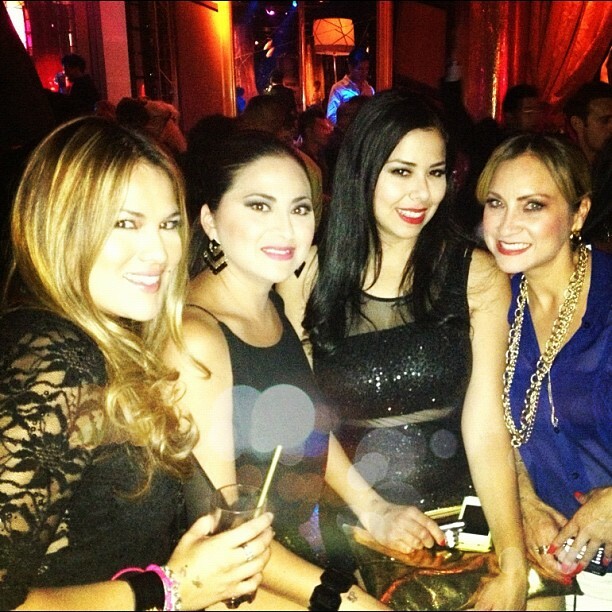 When I went to Vegas, I rocked everything glisty and skimpy! This look is gorgeous! That is such a beautiful dress! This outfit is sooo vegas, you look hot love ! amazing outfit! that dress looks amazing on you! Pau you rocked it girl!! We are loving all of it! gorgeous dress!! love it!I am now following you on both GFC and bloglovin!! :) hope you follow back like you said:)) keep in touch! You look so beautiful in this dress, I love it! I suppose you're right - you could only wear it downtown on a friday night to a club maybe? But it's so glamorous... even to wear in a big city like NY I think! Stunning. No way this dress came from F21. You make it look like it costs so so so much more. You look amazing as always. The shoes are amazing as well too. thank you so much for your super sweet comment dear:)) keep in touch! amazing dress!!! love the make up , hair look and shoes! u look stunning!!! vavavoom! gorgeous darling. And the shoes look comfy too, not too high of a heel it seems. Your blog is so lovely! I'm thinking, if you want, we can follow each other! It would be great!! Beautiful post and look! Very fresh and with style! What else can I say you look stunning!